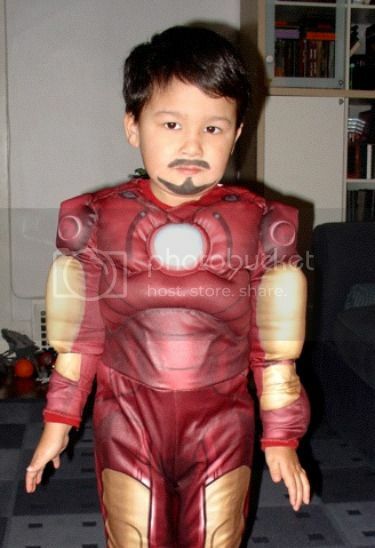 Yes, this kid’s Iron Man costume is ridiculously adorable. It’s pictures like these* that I know I can post with minimal commentary and still earn your adoration and loyalty. Via Awesomesauce, who once confused my shameless pandering and condescension with getting electrocuted by a Jewish grandmother. * E.g., little kids dressed as super-heroes with goatees. The goatees are key. (Love the drawn on Stark goatee). Uncle Mike, why did I have to dress like this to read comics in the basement?